Earnings from natural resources including oil and gas contributed about 15 percent of total government of Ghana revenue in 2014, the Extractive Industries Transparency Initiative (EITI) Report says. 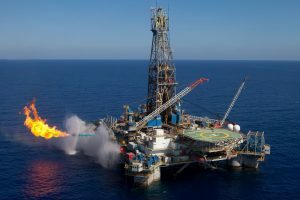 This was far below that of Nigeria, which is number-one in Africa with 96 percent of natural resources contribution to government revenue — mainly from crude oil; Chad had 66 percent; Mauritania, 35 percent; Zambia, 32 percent; and Cameroon, 31 percent. The earnings were expected to go down in 2015 following declines in prices of crude oil and gold on the world market. The report stated that in the majority of the 51 EITI countries, revenues from oil, gas and mining accounted for more than 20 percent of government’s total income. According to the report, 21 gold and oil companies in Ghana made payments of US$1.213billion to the government as taxes, royalties, dividends, host government’s production entitlement, state-owned company production entitlement, licences and concessions in 2014. They included Tullow and Kosmos Energy, AngloGold Ashanti, Newmont, Gold Fields and West African Quarries. The report explained that Ghana is the second-largest gold producer in Africa. However, local communities have become increasingly wary about the operations of mining companies and the level of contribution they make toward local development programmes. “Royalties represented approximately 99 percent of the sector’s contribution on the sub-national level, but 10 percent of royalties are earmarked to be transferred from central government to local government authorities and traditional land-owning authorities affected by mining activities,” it explained. Funds are channelled through the Office of the Administrator of Stool Lands (OASL), and another 10 percent is transferred to the Minerals Development Fund. Between 2006 and 2011, six district assemblies in the mining areas of the Ashanti Region received a total of about US$1m in royalties. While Ghana earned US$1.93billion from oil exports in 2015, it accrued US$3.21billion dollars from gold exports alone. The Progress Report is the EITI’s annual overview of progress in improving transparency and governance of natural resources in the EITI countries. It complements reporting from the EITI Board to the EITI Members’ Meeting and annual financial reporting. Over 90 major companies involved in oil, gas and mining have committed to supporting the EITI through operations in implementing countries, international-level commitments, and industry associations.